Coming from musical roots as a jazz singer and pianist, Sunny Shams, from Sidney BC, began studying opera in 2006 at the Victoria Conservatory of Music. In 2007, he joined the UBC Opera Program, and has performed roles in Die Fledermaus, Don Giovanni and La Bohème. He has also sung with the Victoria and Vancouver Symphonies. Shadan began singing in Mexico City then studied Voice at Vancouver Community College and the UBC Opera program. She appeared in productions of Verdi’s Falstaff, Mozart’s Don Giovanni, Puccini’s Suor Angelica, Dvorak’s Rusalka and at Vancouver’s Bard at the Beach. Rebecca Hass has enjoyed a rich and varied musical career that has embraced opera, concert work, musicals and cabarets. She is also a regular contributor to CBC Radio 1 (NXNW, Tapestry, The Sunday Edition) and has been the guest host of Saturday Afternoon at the Opera on CBC Radio 2. Hailed by the press as one of the best ragtime pianists in the world, Frederick Hodges is sought after by today’s foremost orchestras and festivals. His artistry, virtuosity and charisma have brought him to the world’s most renowned stages, leaving audiences around the globe captivated. Frederick Hodges resides in Berkeley, California. Mezzo-soprano Kristin Hoff recently debuted at Carnegie Hall singing Elliot Carter’s Syringa with Maestro James Levine and the Met Chamber Ensemble. She has been a soloist with the Boston Pops Symphony Orchestra, l’Orchestre Symphoniques des Jeunes de Montréal, and the Tanglewood Music Center Orchestra. Acclaimed for her charismatic presence and exquisite tone, Lambroula Maria Pappas is emerging as one of Canada‘s finest singers. With her sparkling coloratura and shimmering voice, Ms. Pappas is an audience favourite in opera, oratorio, concert and recital. Ms. Pappas has appeared with the Symphonies of Vancouver, Saskatoon, Prince George, Montreal, Quebec, London, Ontario and Spokane. Peter Soave has established himself as the leading soloist of his generation. The hallmark of his performances is his unique combination of commanding stage presence and his vibrant virtuosity. He has appeared with the San Francisco Symphony and the Hollywood Bowl Orchestra. Kathryn Whitney trained at the Victoria Conservatory of Music, the Universityof Toronto, the University of Oxford (MPhil & DPhil) and the Guildhall School of Music and Drama. Dr. Whitney has taught at Oxford, Cambridge and the Royal Academy of Music. She released her first solo recital disk in 2004 and has been featured on CBC radio. Award-winning soprano and actress Michelle Todd was born in England and studied music at Sheffield University, postgraduate voice and opera at The Guildhall School of Music and Drama, London, and at The Banff Centre, Canada. As a member of the multi award-winning ensemble Cantamus, she recorded and sang in Switzerland, Germany, Holland, Hungary and Bulgaria. She made her prize winning London recital debut in the Purcell Room followed by solo performances in The Queen Elizabeth Hall and has been guest soprano with numerous ensembles including The Hans Eisler Ensemble and guest ”star singer“ for BBC's Friday Night is Music Night. Her major roles in London theatres include H.M.S. Pinafore, Little Me with Russ Abbott, The Sound of Music with Petula Clark, Twelfth Night and the honour of working with Stephen Sondheim and Dame Diana Rigg on the acclaimed production of Follies. Internationally she has been soprano soloist in the major sacred works of Bach, Vivaldi, Handel, Mozart, Faure, Resphigi. and most recently Karl Jenkins’ The Armed Man. Her operatic performances include Mozart's Cosi Fan Tutte, Marriage of Figaro, Handel's Xerxes, Gretry's The Jealous Lover and numerous contemporary chamber music theatre works. After moving to Alberta in 1988, her versatility continued in Canadian theatres with leading roles at The Shaw Festival, The Citadel Theatre Edmonton, Persephone Theatre Saskatoon and Stage West. Favorite leading roles include My Fair Lady, Oklahoma, Cinderella, Master Class, Side by Side by Sondheim, The Guardsman and Move over Mrs. Markham. She has performed across Canada with the voice and harp duo Amata, is featured voice for numerous commercials and sound tracks, was profiled for Bravo! Television, and is frequently heard on CBC and CKUA radio. As performer, adjudicator and master class voice teacher she represented Canada twice at the Cantai Festival in Taiwan with Ensemble Resonance. Recent seasons include conducting choral performances in Philadelphia, concerts in Kerala India, Dubai, & Abu Dhabi, U.A.E., a recital at Handel House, London and her debut with the Calgary Philharmonic Orchestra in sold out concerts of The Andrew Lloyd Webber Experience. Her latest recording of sacred arias titled ”Grace Notes“ was nominated for a 2008 Covenant Award. The 2011-2012 season includes concerts in Denmark and Rome, her third appearance with the Scarborough Spa Orchestra, England and singing The Tales of Beatrix Potter Suite with orchestra at the Royal Concert Hall, Nottingham. In Canada she will perform three concerts with Vancouver Island’s Palm Court Orchestra in February and Paul McCartney’s Ecce Cor Meum with Calgary’s Festival Chorus in April. Ann Fontanella began the study of violin at the age of six. Shortly after her tenth birthday, she debuted with the Philadelphia Orchestra under the baton of David Zinman and began private studies with the renowned artist, Erick Friedman. At the age of 14, Ann was one of the youngest artists accepted to the MM/Certificate program at Yale University. Currently, she is an artist with Pennsylvania Performing Arts on Tour, a Mid-Atlantic Arts Foundation program. In addition to her recognition as a virtuoso performer, Ann is also known as a commissioned composer. In 2001 and 2002, she was an award recipient in the ASCAP Morton Gould Young Composers Competition. Ann was also featured in a Symphony Magazine article about young composers ("Born to Compose", May/June 2003). Her style has been described as early Romantic by Jung Ho Pak, conductor of the New Haven Symphony, and appeals to a wide range of audiences. Ann plays on a 320-year-old Grancino violin with Heifetz's own custom-engineered mute that he used for four decades. Ann is currently writing and developing a new album and studies musicology at the University of Pennsylvania. She is engaged and lives in Philadelphia, PA. Hailed by the press as one of the best ragtime pianists in the world, Frederick Hodges is sought after by today‘s foremost orchestras, festivals, conductors, and collaborative musicians. His artistry, virtuosity and charisma have brought him to the world‘s most renowned stages, leaving audiences around the globe captivated. 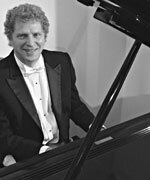 Classically trained as a concert pianist, Frederick Hodges has established a reputation as a truly versatile artist equally sought after as soloist, singer, guest soloist with the California Pops Orchestra, and dance band pianist with Don Neely‘s Royal Society Jazz Orchestra. His extensive repertoire includes all the best ragtime, stride, and novelty piano solo pieces. He has appeared on national television, radio, and in several Hollywood films. He is also a much sought-after silent film accompanist for both live performances and on DVD. He performs regularly at the Niles Essanay Silent Film Museum. Frederick has participated in many prestigious festivals including in Sacramento Jazz Jubilee, the WestCoast Ragtime Festival, The Blind Boone Festival in Columbia Missouri, the Templeton Ragtime Festival at Mississippi State University, the El Segundo Ragtime Festival, and the Sedalia Scott Joplin Ragtime Festival. His website is: www.frederickhodges.com. Korean born soprano Karina Choe received her bachelor degrees from the University of Western Washington in Bellingham and the University of Washington in Seattle. She also received her masters degree in vocal performance from New York's Manhattan School of Music. She has performed many operatic roles in Germany and Italy including Musetta in La Boheme, the Countess in Mozart's Marriage of Figaro and Rose in Kurt Weil's Street Scene. Her concert performances include Mozart's Requiem, Handel's Messiah and the Bach Magnificat. Ms. Choe has received many awards including a music scholarship from Andrews University, Michigan. She has also performed with the Andrews University Choir and Orchestra on many occasions. Ms. Choe is now residing in Victoria, British Columbia. János Sándor graduated with distinction from the “Franz Liszt” Academy of Music in Budapest. As a student at the Academy he won third prize at the Besan�on (France) International Conductors Competition. From 1961–1975 he was Principal Conductor of the Gyšr Philharmonic Orchestra and Music Director of Opera Pecs, both in Hungary. In 1975 he was appointed Conductor of the Budapest State Opera and from 1986–1989 he was Head of the Music Department of the Academy of Drama and Film in Budapest. János Sándor has conducted Hungary‘s top symphony orchestras and has appeared as a guest conductor with numerous other orchestras in more than twenty countries. His interest in young people has led to his involvement with many youth orchestras, including the Festivals of Canadian Youth Orchestras in Banff, Alberta, where he conducted the Gala concert of the inaugural festival in 1974. A founding member of Jeunesses Musicales in Hungary, he has regularly conducted the International Orchestra of the ÒJeunessesÓ camp at Pecs, and has been an invited guest conductor at International Youth Orchestra Festivals in Switzerland and Scotland. He has made more than 30 recordings. His recording for Hungaroton of Bartók's Miraculous Mandarin, Dance Suite and Hungarian Peasant Songs, in the complete edition of Bartók's works, qualified as one of “the best five recordings of the year”, in Hi-Fi News, and it was awarded the Arthur Honegger Prize of the Grand Prix Nationale du Disque. Since coming to Canada in 1991, he has been guest conductor with the Victoria Symphony Orchestra, the CBC Vancouver Orchestra, the Edmonton Symphony Orchestra, the Victoria International Festival Orchestra, the Civic Orchestra of Victoria as well as the Sonor Ensemble of San Diego. His first appearance as Guest Conductor of the Greater Victoria Youth Orchestra was in spring 1995. In September 1995 Mr. Sándor joined the University of Victoria as Artist-in-Residence, and continues as Visiting Professor and Music Director and Conductor of the University of Victoria Orchestra. He was appointed Music Director of the Greater Victoria Youth Orchestra in 1998. Acclaimed for her charismatic presence and exquisite tone, Lambroula Maria Pappas is rapidly emerging as one of Canada‘s finest young singers. With her sparkling coloratura and shimmering voice, Ms. Pappas is an audience favourite in opera, oratorio, concert and recital. In Canada Ms. Pappas has performed with the likes of the Vancouver, Montreal, Orchestre Metropolitain, Trois-Rivi�res and Quebec Symphonies; Festival en Lumi�res, Festival de Lanaudi�re and Lachine Festival. Internationally she has appeared with Germany‘s East West Symphony, France‘s L‘Opéra d‘Avignon, Belgium‘s Opera Royal de Wallonie, Spain‘s Delegada Orquesta Sinfònica de Madrid, Orquesta Pablo Sarasate of Pamplona and New York‘s Opera Eurydice. Ms. Pappas recently performed with Pacific Opera Victoria singing the role of Gilda in Rigoletto where she reprised the role with Orchestra London. She has also sung the role with Spokane symphony where it was recorded and broadcast over the US Public Radio System. In 2005, Lambroula performed the title role of The Cunning Little Vixen with Pacific Opera. She has also performed with Montreal Opera in the roles of Giannetta in L‘Elisir d‘Amore, Papagena in Die Zauberflöte and La Charmeuse in Thaïs. Lambroula has sung memorable performances as Marie in La Fille du Régiment, Despina in Cosi Fan Tutte, Amelia in Amelia Goes to the Ball and the title role in Lucia di Lamermoor as a member of Montreal Opera‘s Young Artist Program. Other significant performances in Ms. Pappas‘ career include Adele in Die Fledermaus, Miss Silverpeal in The Impressario, Lucy in The Telephone and Sandrina in La Finta Giardiniera. Ms. Pappas has also proven to be a formidable competitor in international singing competitions, winning first place at the Metropolitan Opera Competition in Seattle and Pittsburgh, advancing to the semi-finals at the Metropolitan Opera Competition in New York, and finishing second and third in Spain‘s Julian Gayarre International Competition and Belgium‘s Verviers International Competition. Ms. Pappas has performed with Festival Vancouver, Burnaby Symphony, North Shore Sinfonia, Palm Court Orchestra, Northwest Sinfonetta, Lake Union Civic Orchestra. She also enjoys her regular performing season with Silk Purse in West Vancouver and in 2007 she made her debut with L‘Opera de Nice as Despina in Cosi Fan Tutte. Ms. Pappas is also a proud performer/producer of her show, Two Divas are Better than One. Originally from British Columbia, Ms. Pappas obtained her Bachelor of Music in Voice Performance and a Master of Music in Opera from the University of British Columbia. Timothy Chooi, 13, began his violin studies at age three and a half. He currently studies at the Victoria Conservatory with Trudi Conrad, where he takes part in their advanced study Collegium Program. His outstanding Victoria Performing Arts Festival achievements include representing Victoria at two Junior Level Provincials in 2004 and 2005, receiving First Runner Up and First Prize respectively and most recently in June 2007, the Senior Level National Class where he received the First Runner Up award. He was the youngest student to be selected for the Mount Royal College five week summer Music Bridge Program held in Shanghai, China. He also had the distinction of being personally invited by Maestro Pinchas Zuckerman to attend the National Arts Center Young Artists Program for the summer of 2005. Timmy has appeared as soloist with the Sooke Philharmonic Orchestra and the Victoria Symphony and performed in December 2007 with the Civic Orchestra of Victoria. Barbara’s voice is like warm cocoa on a winter’s night. Vocalist, educator, and jazz messenger Barbara Blair counts herself among the fortunate few who spend their life following their passion. With a deep, rich voice, Barbara’s interpretive approach comes from the giants and innovators of mainstream jazz including Ella Fitzgerald, Louis Armstrong and Carmen McRae. Following a career in the classical music scene, Barbara returned to her first love, jazz, studying with luminaries Kurt Elling, Ellis Marsalis, Sheila Jordan, Paul Horn, Nancy King and Jay Clayton. Nearly two decades of performing and touring add polish and depth to her performances. A headliner at the 2005 and 2006 Newport Oregon Jazz Festival, Barbara was part of an elite roster that included Jeff Hamilton, John Clayton, Holly Hoffman, Ken Peplowski and Houston Person. Barbara’s education program, The School of Cool - An Introduction to Jazz, has played to more than 30,000 students in primary and secondary schools. Dividing her time between concert and educational tours throughout western Canada and the Pacific Northwest, Barbara took a recent tour to Hawaii and Australia. Charlotte obtained her B.Mus and M.Mus degrees in Vocal Performance and Opera at McGill University in Montreal, where she studied with Mme. Lucile Evans. At McGill, she participated in productions of Les Contes D’Hoffman, Six Characters in Search of an Author, Semele, The Turn of the Screw, Christopher Sly and Dialogues of the Carmelites. Charlotte has been engaged as a soloist with several Montreal orchestras, including the McGill contemporary ensemble and I Medici di McGill. Since 2005, she has been a member of the Atelier Lyrique de L'Opéra de Montréal, and has had the pleasure of performing the roles of “Second Witch” in Dido and Aeneas, “Asphodèle” in L'Étoile, “The Governess” in The Turn of the Screw, and in September 2006, “Suor Genovieffa” in Suor Angelica . In May 2007 Charlotte took the lead role in Quebec Opera’s production of Romeo & Juliet. Charlotte says her first motivation to become a soloist came at age 14 when she was part of a choir singing the Brahms Requiem for her grandfather’s retirement concert in Victoria (local retired professor of music and conductor, Dr. George Corwin). Ten years later, in 2005, she sang the Requiem solo role with the Victoria Civic Orchestra. Acclaimed for her charismatic presence and exquisite tone, Lambroula Pappas is emerging as one of Canada’s finest young singers. Her sparkling coloratura and shimmering voice make her an audience favourite in Canada, and abroad. A native of British Columbia, Pappas received her Bachelor of Music in Voice Performance and Masters in Opera from the University of British Columbia. Prior even to completing her masters Ms Pappas was accepted into the Montreal Young Artist’s Program, one of eight new talents invited to join the Montreal opera program that year. In 2006, Ms. Pappas performed Gilda in Verdi’s 19th century operatic thriller Rigoletto to rave reviews with Spokane Symphony, Pacific Opera Victoria, and Orchestra London (Ontario.) The role fits the vivacious, mischievous, glorious-voiced Canadian songstress like a glove. Gilda was exquisitely sung by the beautiful Lambroula Maria Pappas, the tender scenes near heart-breaking. Review Vancouver – Pacific Opera Rigoletto. May 2006. The last time Lambroula Maria Pappas appeared at the Royal Theatre she was hidden from the waist down, and played a cunning little vixen ... to hear her in full voice -- and full height -- singing the part of Gilda in Rigoletto is much more thrilling and delightful. During Thursday's opening night performance, the coloratura tossed up string after string of shimmering notes, which hung exquisitely in the air, or faded like soft mist. Victoria Times Colonist – Rigoletto. May 2006. Internationally Ms. Pappas has performed with Germany’s East West Symphony, France’s L’Opéra d’Avignon, Belgium’s Opera Royal de Wallonie, Spain’s Delegada Orquesta Sinfónica de Madrid, Orquesta Pablo Sarasate of Pamplona and New York’s Opera Eurydice. In Canada, she has appeared with the Vancouver, Montreal, Trois-Rivières and Quebec Symphonies, Festival en Lumiéres, Festival de Lanaudière, Lachine Festival, Pacific Opera Victoria, and Orchestra London. Ms Pappas has appeared on CBC television and radio and in a BRAVO Television documentary as featured artist. Recordings include the Bird Girl in Harry Somer’s Opera Serninette, the Angel in Choir Leoni’s Lauda per la Nativita, and soloist on the World’s Greatest Opera for Kids CD. She is also the proud performer/producer of the original show, Two Divas are Better than One. Ms. Pappas is booked to debut with L’Opera Nice as Despina in Cosi Fan Tutte, 2007/2008. Vancouver Island’s best-loved young tenor, Victoria-born Ken Lavigne returns to the Palm Court Light Orchestra for its 20th season opening concert of love and romance. Mr. Lavigne first performed with the Palm Court November 2003, returning to rave reviews last season as guest soloist in the orchestra Love’s Old Sweet Song Island tour. Known for his crowd-pleasing versatility, Mr. Lavigne is equally at ease as a soloist singing Gilbert and Sullivan, Handel’s’ Messiah, or a prayer of peace for Her Majesty Queen Elizabeth II, as he is sharing that on-stage chemistry with his talented trio of young Canadian lyric tenors, Romanza. Career highlights include two seasons of ‘legitimate’ opera and musical theatre with the Oklahoma Light Opera, numerous appearances with Pacific Opera Victoria and with the Victoria Symphony, and a Romanza concert performed this past summer in Long Island, New York with Manhattan’s lights as their backdrop. Romanza will keep Lavigne on the road for much of the coming year, performing classical Italian ballads, and modern romantic and Canadiana classics. His recordings include a solo CD of musical theatre classics, On The Street Where You Live, and, the soon-to-be released Romanza CD, Genuine. Dutch-born Canadian pianist Karel Roessingh is at once a performer, composer for film and television, and recording artist. Raised in Calgary he studied piano, guitar, and percussion, toured with the Calgary Youth Orchestra and at age nineteen became arranger and vocal director for Stratus Faction, a 26 piece show group featured on national television. He studied jazz arranging and composition at the prestigious Berklee College of Music in Boston, and completed a degree in Music and Mathematics Education at the University of Victoria. A professional musician from an early age, Karel has performed with internationally recognized entertainers: Johnny Mathis, the Moody Blues, the Powder Blues, the Shirelles, Wilf Carter, Leslie Gore, Shari Lewis (and Lambchop),and comedians Ted Knight, Howie Mandel and Bob Newhart. He has performed as soloist for Her Majesty Queen Elizabeth II; his proficiency as a performer has led to engagements all over the world. He plays at jazz festivals as both leader and sideman, writes jazz tunes for his own and other groups, and has played with such jazz greats as Bud Shank, Ian MacDougall, Pat LaBarbera, Don Clark, Floyd Standifer, Roy Reynolds and numerous vocalists. Closer to home, you might occasionally catch him tickling the ivories at the Empress Hotel. 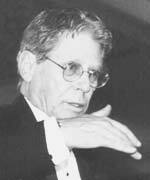 Karel Roessingh is also a credited composer and producer of music scores for some five hundred episodes of television, and award-winning documentaries and dramas. His first solo album to receive critical acclaim was Keys (Midsummer Music 1988). He has since released eleven more of his own CDs, including several for the Canadian Naturescapes series, two solo piano concerts recorded live at Alix Goolden Hall, and a jazz album receiving airplay across the continent since its release last fall. kr3+ features the Karel Roessingh Trio with guest performers Gary Karr, Daniel Lapp and Paul Wainwright. Perhaps less well known by jazz fans who have progressed through their parenting years was Karel’s early contribution to Canadian children’s music: Birds, Beasts and Babes by local Lullaby Lady Pat Carfra was, according to Ladies’ Home Journal, one of the six all-time best children's bedtime albums... away back when. Alongside his musical career, Karel has served two terms as mayor of the Highlands. His talent for stewardship politics expresses itself too in his music. A personal commitment to convert the family gas guzzler to bio diesel (re-cycled vegetable oil) inspired the playful jazz tune Biodiesel found on the kr3+ CD. Marc Fortier was born and raised in the province of Quebec. Within two years of completing Conservatory studies in harmony, counterpoint, fugue, cello, conducting and orchestration (1966), he represented Canada at the International Competition of Symphonic Composition in Milan, Italy and won 1st Prize. This was an auspicious beginning to a successful career as arranger-orchestrator-conductor that includes dozens of recordings for the major American labels, German Polydor and DGG. M. Fortier’s association with the world renowned Orchestre Symphonique de Montreal began in 1968 with orchestrations for their Pop season. After 20 years as arranger he was appointed full-fledged Music Director and Conductor of the regular Pops Series. In 1979, he created The Montreal Pop Orchestra, which won, in its first year of existence, the Juno Award for Best Movie Soundtrack and a weekly television program on the CBC French network. This superb pop orchestra was recognized by the head of the International Ballroom Dancing Competition in Blackpool, England, as one of the best in the world. lyricist, musician, storywriter, music critic, jazz historian, acknowledged as “the” authority on American music. “I so enjoy Marc’s orchestra writing.” Robert Farnon, Guernsey England 1992, Dean of light orchestra, acclaimed orchestrator, arranger and conductor for Bob Hope, Tony Bennett, Lena Horne, Bing Crosby, Sarah Vaughan, Eileen Farrell and others. “Marc has done a masterful job in adapting the music to the smaller and more practical orchestra. I noticed that Marc had a few of his own pieces included. I enjoyed them very much…” Henry Mancini, California 1986, renowned film and television composer. “The experience of singing with Marc and the Montreal Symphony Orchestra will never be equaled by anything that has or will come into my life.” Ranee Lee, Montreal 1991, famous Canadian jazz singer. In addition to the Montreal Symphony Orchestra and his own Montreal Pop, Marc Fortier has, over the years, conducted many other ensembles: the Quebec Symphony, the Italian Radio Orchestra, Lyon Symphony Orchestra, American Symphony of New York, the Film Symphony Orchestra in Prague, Onda Nueva Orchestra in Caracas, Three Rivers Symphony Orchestra, the Swing Revival Band … and September 30/ October 1, 2005 Vancouver Island audiences welcome his first appearance as guest conductor for the concert season opening performance of Charles Job’s Palm Court Orchestra. Apart from music, Marc Fortier has a passion for aviation: holds commercial pilot licenses in both Canada and the United States, and is a commissioned captain in the Yankee Air Force. M. Fortier is married to professional violinist Helene Fortier. 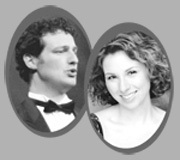 Mme Fortier commonly performs in the famed ensembles her husband conducts, and will join Marc Fortier in performance with the Palm Court Orchestra.